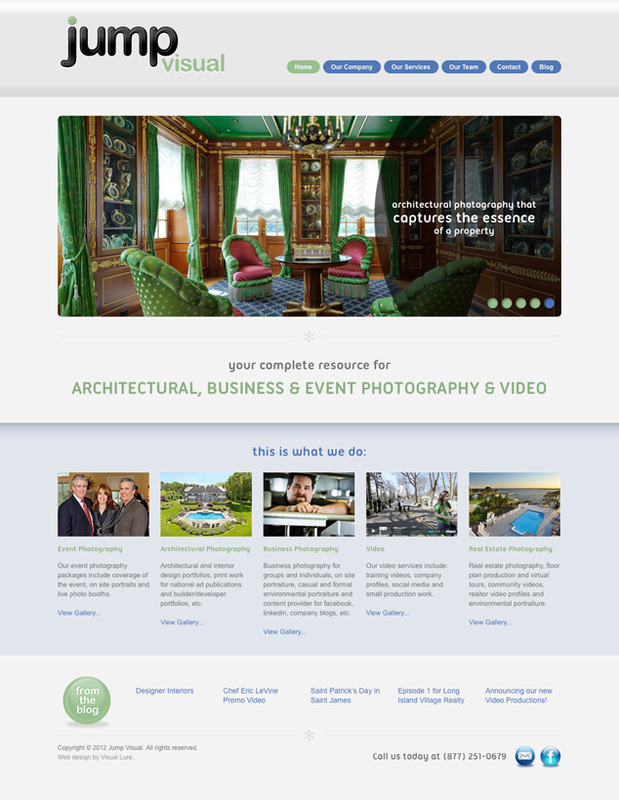 Visual Lure was recently contracted to design a new website for Jump Visual, a New York based photography and videography company specializing in architectural, real estate, event and business photography and video. The new website was built in a custom WordPress theme with a blog feed, tons of slideshows and non-system based typefaces (not just the same old web fonts). Their old blog was imported into the new one, along with plugins, for a seamless transition. Check back soon for the official website launch.